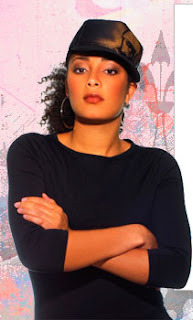 According to my partners over at AHotMess, MTV personality Amanda Diva is set to replace Natalie Stewart (The Floacist) in the hit soul-group "Floetry". Amanda Diva will perform her own lyrics in place of Stewart’s and, backed by a live band, the duo will also show off new songs they’ve composed since the change in lineup. aaannddd now I'm over it ! Click here to check out the tour-dates. I'm going to see them perform tomorrow. I will let you know how it went. so....how was the concert??!?! I'm not so sure that I'm ready to see the Floety-Remixed thingamabob...I was fortunate enough to check out Floety at the Tabernacle here in ATL a few years ago and Natalie-n-Marsha were AMAZING!!! bothersome to tell the truth then again I will surely come back again. this subject? I'd be very grateful if you could elaborate a little bit more. Bless you!